For years, I have been focused on ensuring that what put in my mouth, on my skin and in my hair is truly nourishing. Over time, I have fine tuned what I define as nourishing. For example, I first thought I was consuming the highest quailty chicken when I purchased a Rosie’s organic chicken at Whole Foods. That has evolved to a pasture-raised chicken purchased at the farmers market, to pasture-raised chickens purchased directly from the farm via a buying coop that is also soy-free, corn-free and has no genetically modified organisms. My hair care has also evolved over time. As I’ve aged, and started to gray, I’ve decided I wanted to enjoy being a brunette a bit longer. I researched several products to use for hair color. I thought NaturaColor was relatively natural and used it for a number of years. It was fairly well reviewed and I had read in an article about Herbacuticals Naturacolor that the only real concerning ingredient is sodium metabisulfite, an irritant and possible toxin – but, according to tests only at high doses. Spagyric (TM) Herbal Infusion, Burdock, Centella Asiatica, Nettle, Sage, Hops, Lavender, Rosemary, Lecithin, Lavender Oil, Coconut Oil, Soy, Oleic Acid, Ethanolamine, Shea Butter, Mango Glycerides, Chamomile Extract, Vegetable Resin Extract, Bilberry Extract, Red Sorrel Extract, Walnut Extract, Sodium Metabisulfite, Jasmine Absolute Ascorbic Acid, Hydrolized Wheat Protein, P-Phenlyenediamine, P-Eminophenol, M-Aminophenol. The photo below was captured on April 13, 2014 with NaturaColor on my hair. While I knew it may be more natural than some hair color solutions, I suspected that it was somewhat of a comprise and was seeking something more natural. We’ll I’ve found it! I have returned to my Moroccan roots and started to use Morrocco Method’s henna. Made from the leaves of the Lawsonia plant, henna works without damaging, without drying and without chemically altering the structure of the hair. Henna binds with the keratin of your hair, preventing brittleness and breakage. It wears off gradually over a period of approximately 8-12 weeks, eliminating the dark-root problem you must contend with when using chemical tints. What is referred to as neutral henna in the form of Cassia obovatacan can also serve to benefit our hair and scalp without any color as well. As I’ve written before in my article How can we get our hair clean with mud?, I discovered Morrocco Method hair care in 2005, and have been using their shampoos and conditioners. Now that I’ve started to use their henna, I’m only putting truly natural products on my hair and scalp. Before I switched from Naturacolor to Morrocco Method’s henna, I had used henna twice in the past. The first time I used a henna purchased from an outdoor market in Israel, and my hair became fairly orange. The next time, I used henna purchased at the health food store designed to cover grey, and my hair remained grey. With the Morrocco Method henna, I have had full coverage of the gray, as well less tangled, well conditioned, smoother, silkier hair in a rich brown color. Below are photographs captured on November 22, 2014, after a haircut followed by my own application of henna the night before. Henna has been used as a hair dye for 6,000 years. As Wikipedia explains: Henna has been used since antiquity in Ancient Egypt, as well as other parts of North Africa, the Horn of Africa, the Arabian Peninsula, the Near East and South Asia to dye skin, hair, and fingernails, as well as fabrics including silk, wool, and leather. Henna is prevalent in my mother’s Moroccan culture, so I feel like I am truly returning to a nourishing tradition. Henna is considered the only way for for women who are pregnant or breastfeeding to safely color their hair since it is nontoxic. There are no chemicals of any kind in Morrocco Method henna. The henna in the Morrocco Method product is Lawsonia inermis, which is naturally a red-orange dye. In order to achieve their variety of colors they use other plant powders. Their browns and black are mixtures of Lawsonia inermis and Indigofera tinctoria in varying ratios. As was mentioned above, neutral Henna is pure Cassia obovata. Blonde Henna is actually Cassia obovata mixed with marigold and chamomile flowers. Less tangling. Being that Henna coats the strands of hair with the Lawsonia, it makes the cuticles lie down flatter, which can result in smoother, shinier hair with less tangling. Hair conditioner. Henna covers each hair shaft and builds a protective layer that safeguards the strands from damage. It is said that regular use of henna makes your hair thick and strong by locking the essential moisture in the hair. Morrocco Method offers a neutral henna in the form of pure Cassia obovata that doesn’t impart any color but, simply conditions. Can help alleviate dandruff. Henna is naturally antifungal and antibacterial and some people have reported that consistent use of henna has helped with dandruff and scaly scabby scalp. Loosening and softening curly hair. Some people report that henna loosens their curl pattern, which may nor may not be considered a benefit for more highly textured, curly, or coarse hair types. Rather than hair standing straight up from the scalp it now hangs downwards. Also users notice they have a lot less shrinkage when hair dries. This benefit is often noticed by those who have used henna treatments at least three or four times in a short space of time between three to eight weeks. This is due in part to the weight the various coatings henna adds to the hair strands and of course natural gravity. More body, density, bounce. People with fine, thin limp hair also notice that continual henna treatments give their hair more body, density, shine and all round bounce. Again, this is because the regular coats of henna will build up the hair’s structure and result in thick stronger strands. Below are before and after pictures of my hair illustrating how well henna covers my gray hair. Yes, that is my hair in both photographs. I promise. Despite all of its benefits, some hesitate to use henna. Some have expressed concern that henna isn’t safe or is bad for their hair. Henna is not bad for your hair; it is a natural colorant and strengthener, and has all sorts of other benefits such as the reduction of dandruff, elimination of ringworm and head lice. Some have claimed that henna has dried out their hair. If you already have dry hair, it won’t dry it further necessary but, it also won’t condition it because it seals in moisture that is already in your hair. As such, Morrocco Method recommends you use less of the apple cider vinegar or lemon juice as you make the recipe, and be sure to add some Euro Oil, but no more than 3 teaspoons to ensure the henna sticks. Conditioning several days before is recommended, followed by shampooing only before henna applicaiton. Also, washing out the henna with a conditioner is also recommended for those with dry hair. Of course, Morrocco Method conditioners are recommended. My hair feels conditioned after henna rather than dry. I’ve applied Morocco Method henna to my hair three times so far and have never experienced it as drying. Some have had bad results switching to henna. Some brands of henna contain metallic compounds that react with the ammonia activator in synthetic hair dyes. This could be an issue if you’d recently use synthetic hair dyes. These reactions could result in green hair, fried and brittle hair, and in some rare cases, the combination of metals and a freshly done chemical color might melt the hair off your head. I only use Morrocco Method’s Medium Brown Henna Hair Color, which is 100% pure plant dye. There are no chemicals, metallic salts, or purified protein derivative in any of their hennas. You can safely use henna on previously chemically dyed hair however, they suggest waiting 6-8 weeks after your last dye job to allow for detox. I absolutely love the way my hair looks and feels after a henna treatment. I am very confident that henna is a truly nourishing product whether or not you use it to color your hair. The smile you see below is authentic. I am happy the day after. Below are some pictures taken during my preparations of the henna recipe. The henna is green, but happily my hair isn’t. I add organic black tea brewed in filtered water, apple cider vinegar and spices to the henna to release the dye. I follow these directions, and have called and emailed them with any questions I’ve had. As mentioned above, their customer service is, in my opinion, suberb. Added below is some apple cider vinegar and ginger. Ginger and other spices such as cinnamon are suggested to soften the smell of the henna. I don’t mind the smell as is but, enjoy the added spices. Later, after the henna mixture has cured for up to 12 hours, I add the indigo to the mixture that has already been pre-measued and is part of the medium brown henna kit. Morrocco Method has become a sponsor of Nourishing Our Children, which means they have agreed to support our non-profit educational initiative with a contribution. As a point of clarification, they didn’t pay for me to write this post and my wholehearted support of all of their products has come from my own initiation. These are the only hair care products I use and believe they are the most nourishing products available to us for retail sale. They are offering our community an exclusive coupon for all of their hair care, including henna! Please read my article about their shampoos and conditioners to learn why I use and recommend them! One of the benefits of using any of the Morrocco Method products is the level of support they offer. They have held my hand every step of the way. I think their customer service is exemplary. Follow our referral link to Morrocco Method‘s online store. Use coupon code Nourishinghair33 and you’ll receive 15% off any order. The coupon expires December 27, 2014. Have you colored your hair? Have you used henna? What has your experience been? Are you curious to try it? 43 Responses to Henna: a nourishing tradition. I have colored my hair with “organic” hair color but, also wondered if it is truly non-toxic. Henna sounds much safer since it is purely plant based. I would love to try it out! I am excited to learn more about the shampoos and conditioners as well. I have definitely been curious to try henna and would love to explore different color options for me. I am also interested in just trying the neutral henna. I have never colored my hair but, think it may be fun just for a change. I don’t have an gray to cover … yet! I have been on the fence about using henna to color my hair. I haven’t coloured my hair in over ten years because I am concerned about the chemicals, but henna seems like a better way! My main concern is upkeep, like dying roots, but it seems like that’s less of a problem with henna. If I won, I would definitely go for it! But I might be too much of a chicken to order my own. Amanda, I have found that the henna lasts much longer than the NaturColor I used for years. 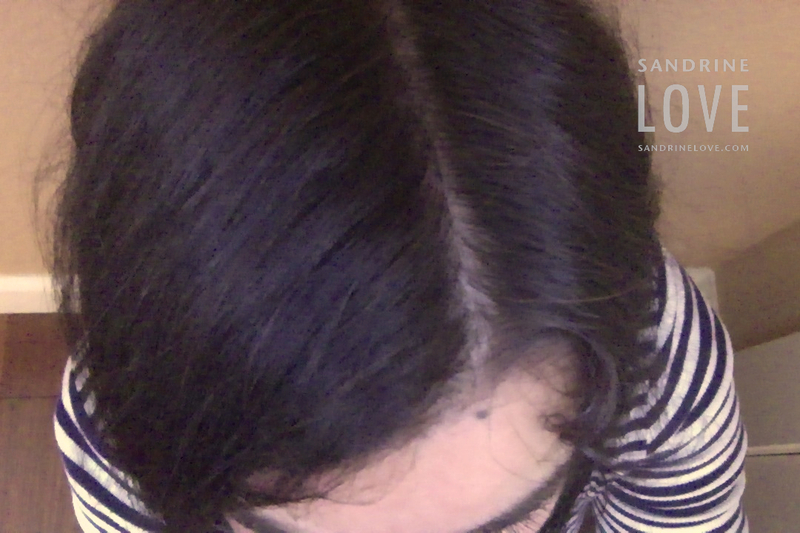 Also, I don’t get a straight root line where new hair is coming in. It is a very natural fading process. I’ve done three applications since July and am sold! I hope you’ll have a chance to try it out! I have used chemical coloring agents a few times in my life, and while the appearance was great, the toxic effects were immediately apparent – and this was while I wasn’t even on a healthy diet. I switched over to henna many years ago and found that a light brown gave my hair lift and vitality as well as a great color. As I’ve gotten older, and my hair has gone grey in patches, I find that a colored henna gives too uneven a result for me: the grey turns a different color than the rest of my hair, then wears off more quickly. I switched to a neutral henna and have been very happy. The grey seems to brighten up and blend in better, and my hair is altogether thicker and has more bounce. I also feel quite confident knowing that henna is a completely natural and non-toxic product that I’m comfortable putting on my skin. Yes! Thanks for your testimonial, Rosalyn! I love knowing it is completely natural and non-toxic as well. I am so happy I’ve made the switch! I wish I knew about this all natural henna years ago. I was told when I recently went in for a consultation that I could not dye my hair because of the the ammonia reacting with the henna. They tested a strip of my hair, and I guess the henna I used was the bad kind 😦 Since this has no ammonia, I guess I could use it over my older henna? Susan, from what I understand, if you wait a couple of months, as recommended, the henna I’ve been using should be fine. I would consult with Morrocco Method with any questions though. They’ve been so, so helpful to me. Yes, I just tried it for the first time last month! I too used the Morrocco Method. I love it, the only downside is the process is very time consuming and the 24 hours between rinsing and washing! I haven’t used conventional color for years, but was getting a number of grays and this has been the perfect solution. Thanks for your testimonial Megan! I recommend you use their scalp massager when you rinse! I have found that very effective in fully removing the henna. After having 4 beautiful children, I decided that it was important to stop putting toxic chemicals into my body and research healthier alternatives for beauty products. I refuse to volunteer my body to carcinogenic toxins in a ten dollar box of hair dye. It’s important to me that I set a positive example for my kids. I accidentally found henna hair dye on another blog and am ecstatic that there are other options for hair dyeing. Thank you for posts and I’m eager to try their products! Happy Sunday! Michelle, I think your sentiments are shared my other mothers who have started to realize that what we put on our hair and skin is as important as what we put in our mouths! I am, like you, so happy we have henna, which has been used safely for thousands of years. I just used Morroco Method’s light blonde henna for the first time last night. I haven’t died my hair for years but was looking to cover the grays that have been sneaking in. This definitely did the trick! My gray hair now looks like blonde highlights. I loved my hair color and didn’t want to change it to something darker- which is why I chose the light blonde color. My hair is soft and conditioned. I will be using this from here on out! Kristin, thank you so much for your testimonial. I am so happy to hear that you are as pleased as I am! I would love to see photos! I’ve been using Body Art Quality henna from another very popular competitor for nearly a decade. I’ve been going gray since my teens and am about 30% gray at age 28. I was never satisfied with box dyes and professional colorists never hitting a great color for *me* and I hated having to touch up and continue to damage my length (from my teens till age 26, I grew my hair past my hips). I was drawn in by the allure of henna being nearly 100% permanent, even to the point of being difficult to impossible to fully bleach out. I loved my results. Moreso, I loved that six months later, when I finally got around to touching up my roots (and only my roots – I did not put any henna mud on my length)…my length 100% matched the shade and vibrancy of my freshly dyed roots! It seemed impossible – even permanent harsh-chemical dyes fade! But not henna. I’ve only given up Henna temporarily, within the last few months, for a “last hurrah” of having punky-red-and-purple hair during my last semesters of college. I can attest that the henna DID NOT want to bleach out of my hair as I prepared it for the red and purple colors! The lightest I could bleach my hair was Bozo the clown orange, and research has said that this is because of how Henna binds to the hair’s protein. Bleach can literally remove my natural brown color molecules that the henna has dyed over and around, but it CANNOT fully remove the red-orange lawsone color molecule! I was impressed, having never bleached my hair before, and I look forward to making my henna brews again! Only a year ago I was going to the salon every 6-8 weeks paying a lot for chemically distressed hair. Every other aspect of my life was rather quite “crunchy” so I started looking into a more natural option for my greys. I stumbled upon Light Mountain henna and have been using this for about 6 months-one year now. With the no poo method, it seemed to be prematurely stripping my color so I started doing some research and found Morrocco Method hair care. I LOVE THEIR PRODUCTS!! I had bought a value pack of Light Mountain off Amazon but I will definitely be trying out Morrocco Method’s henna after I run out. I would definitely recommend henna to anyone looking for a better option! I tried a natural coloring I found at my health foods store, but felt like it didn’t stick. I’m getting a few grays and seriously thinking about henna. Until I read your article, I didn’t even know that different brands might have other bad stuff in them. Wondering if it will have any benefit for psoriasis on my scalp. Yes, Zoya! I have read reports of henna relieving psoriasis. The entire Morrocco Method line is designed to be very healing and is indicated for dandruff, psoriasis and the like.I would recommend the Zen Detox: http://bit.ly/zendetox and a consult with them about what protocol would be best indicated for you. If you end up ordering over the phone, and want to use the exclusive 15% coupon code we’ve been given, just let them know you were referred by Nourishing Our Children! I would recommend rotating all five shampoos, rotating each wash, to get the best results. You will also want to do Zen Detox treatments and overnight oil treatments with the Euro Oil. Once you are done with the detox process I would recommend starting on the elixirs which are specifically for hair loss. We have had great results in people with psoriasis. After years of using chemical shampoos, conditioners, and styling aids, your hair and scalp develops a wax and heavy metal build up. There is a positive side effect when you use Morrocco Method products, your hair and scalp goes through a detox. Our shampoos and conditioners will help shed this layer and return you scalp to normal by unplugging the sebaceous glands. So after a detox period your hair will start regulating its own oils naturally. Your detox period can last anywhere from 3 days to 6 months. Oily, tangled, and/or unmanageable hair, is a normal side effect of a natural detox your hair must go through. •	Do a Zen Detox once a week for three consecutive weeks, rest one week, then repeat. This will help remove the chemicals and heavy metals from chemical products. •	Dilute your shampoo. Mix one part shampoo with one part water (or more depending on how long your hair is) in a travel shampoo bottle. This will help distribute the shampoo better. •	Wash TWICE. The first time will loosen any debris or oil that is in your hair, the second will wash it away. Because you are mixing the shampoo with water, you aren’t using significantly more shampoo. •	Stop using conditioners for now. Wait until your hair’s oil production balances out before introducing the conditioners again. •	You can do an undiluted apple cider vinegar rinse to help as a shampoo to clear away oil buildup, then follow up with one of our shampoos. • Massage your scalp 2-3 times daily to stimulate blood flow to that area and promote hair growth. There are two times I’ve colored my hair: once with henna about 25 years ago and my hair turned a dark red, and once I highlighted my hair about 18 years ago. Those two times were just for fun. Now that my hair is graying, I am seriously considering coloring my hair on a regular basis and MM’s henna seems like the best choice by far. I’d like to try henna and wonder if you can weave it in for a natural look like hair dressers do. I want to keep some of my gray. I guess I’d need a friend to do it for me! 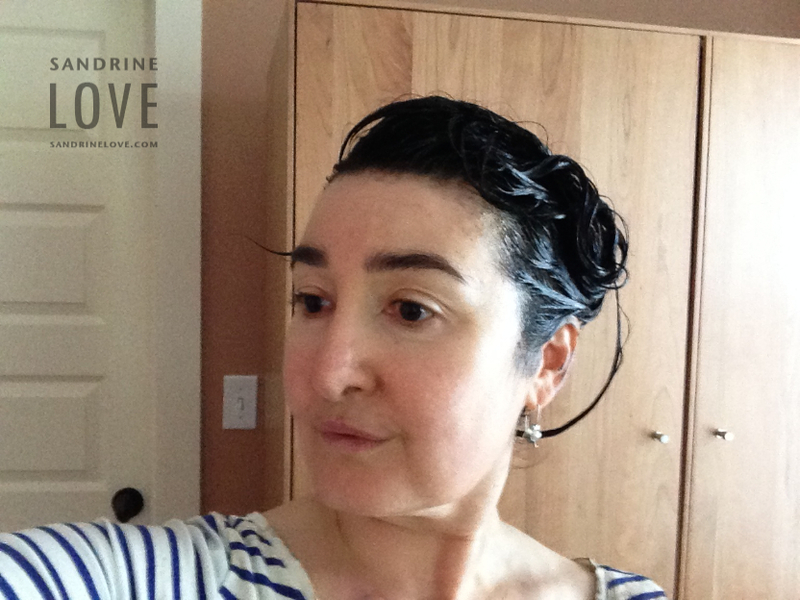 When I’ve gotten my hair colored in the past, the product used was Organic Colour Systems. It sounds harmless but I’m sure it has chemicals in it so would love to find a purely plant-based color. How long does the henna color last? The henna lasts approximately 8 to 12 weeks. I think you can weave it into your hair to keep some of your grey. I will ask Morrocco Method’s staff to recommend a way to get the results you seek! Hello Karen! You can attempt to weave it, but it’s so much better to use it as a full-head treatment for its additional benefits. I suggest trying the Blonde Henna http://bit.ly/blondehenna, which will subtly color your grays to a pale yellow and look completely natural. Thank you for your reply! It sounds like I would like the blonde henna results. Do I need to wait until all my previous hair color has grown out and been cut off until I use henna? Is it safe to use over colored hair? This is the response I received: Sandrine forwarded me your concerns, and I wanted to address your issue with waiting 6-8 weeks. We only say this to get out customer to detox before going onto henna. You are completely safe transitioning from chemicals to henna a week after your chemical dye job. You can do a full treatment as soon as your grays start to show, but the results on your grays and on your dyed hair may look different. It’s returning to the chemicals after using henna that truly requires waiting for weeks, and even then, it is difficult to return to lighter colors, as indigo doesn’t like to be bleached out. If you have any questions, please email us at support@mmhair.com, use the chat feature on our website, or call us during our regular business hours at 805-534-1600. Also, Karen, I waited around 6 to 8 weeks between the last Naturacolor and first henna process and I was very pleased with the results. In your case, you wouldn’t be using indigo in blonde henna but, I wanted to publish that response for others who have a similar question! I have avoided coloring my hair for several reasons. One, toxicity. Two, cost of upkeep (including time–with two little children, I have to cut corners somewhere!). Three, I’ve totally accepted my hair color, including the grey. However, I have been toying with the idea of color lately…if I do it, I will try this method since it sounds very safe. I have been using henna on my hair for years, although I have not tried MM’s henna. I love that it is natural, that it gives my thin, graying hair some body and thickness, and that it covers the gray with a rich brown that slowly fades over 5 or 6 weeks. The Rainbow Light brand that I use does not last as long as MM, but the application is easier (requires 2 or 3 hours of my day). I’m curious about MM’s henna. Rene, all said and done, the application and shampooing does not take me more than 2 hours but, I do leave it on for 4 hours. I live and work at home so, there is no problem for me to let it sit. The henna recipe does require a relatively long “curing” time before application. I think 8 to 12 hours for many depending on the weather conditions. I experimented with coloring my hair with boxed dye when I was a teenager, but I have black hair so it’s hard to see any changes. Then I bleached my hair a few years ago to blonde and that really dried my hair out. My mom also permed my hair regularly when I was a little kid, so it has been processed a lot. I am ready to try henna to improve the texture of my hair. I have used pure organic henna from India for about 7 years, and I love it! It gives my hair volume, seals in moisture and leaves a vibrant red that boldly lingers for longer than any chemical red dye. I’ve experimented with many different herbs, oils, and sweeteners to enhance an manipulate the final color. It’s a lot of fun and my hair smells awesome every time I wash it! Your post is making me curious to try henna. I am using a semi permanent dye from Wella that my hairdresser applies. It fades slowly but still leaves a slight line. I look forward to more gray and then not dying but henna might be what works as I wait for more gray. I’d like to skip the salt and pepper phase and be all gray! I used to color my hair regularly in a salon with chemicals. I quit when I found out I was pregnant with my first child almost 7 years ago. that was also when I began to be interested in natural remedies, traditional diets, and being healthier. I haven’t colored it since then. going grey young runs in my family, so I have had the worry lurking in the back of my head wondering what I would do when I start showing grey hair. now I know that there is an option for me besides “trying” to grey gracefully while being relatively young, thanks for the write up on henna! I’ve never colored my hair before, but I have learned a lot in this article. Henna interests me because I have wavy hair that reacts to humidity, and I was wondering if it would help make my hair more manageable. Has anyone else used the neutral henna for this purpose? In a word – yes! The Neutral Henna is great for making the hair more manageable. It will make hair healthier, shinier, thicker, and it will condition the hair. I have used another brand of henna for about 6 months but am not happy with the color and how it fades to an orangey shade, especially where I am more grey, near my temples. I would love to try this brand. I secretly checked out your hair the other night at the community dinner at Cultured Caveman, and thought it looked fabulous!! Morroco Method’s shipping is expensive, and their conditioners are very expensive. Unfortunate we can’t escape that fact when looking for unchemicalized, quality organic products. It really is an economically unequal world. I buy one of each of the shampoos and they last me a whole year. It isn’t at all critical to use the conditioners. When I buy all at once, the shipping is more cost effective. Well, it’s too late now. Already placed the order, but just found out they sell at Mother’s Markets. Wonder if they sell all the products I was looking for. Will look out for them next time I go. Did you use our exclusive coupon at least to offset the cost of shipping?